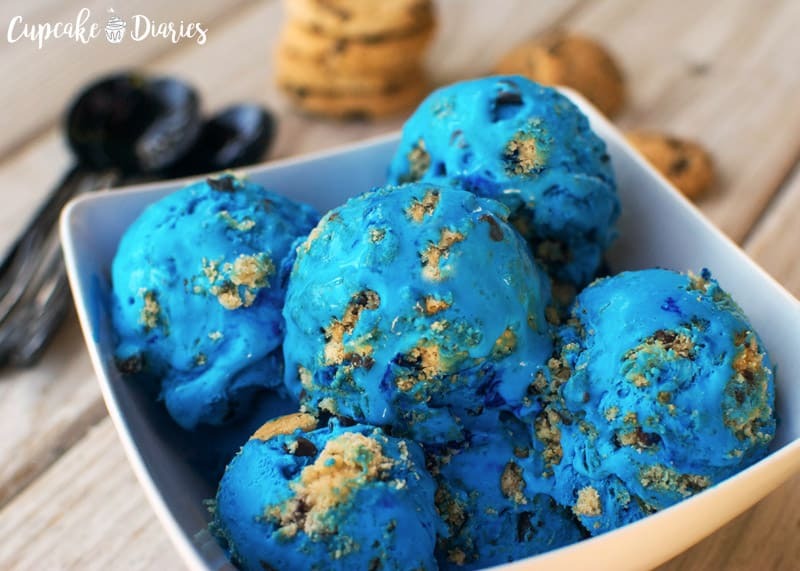 Don’t plan a Cookie Monster birthday party without this ice cream! 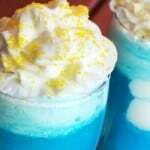 It’s blue, it’s full of cookie chunks, and it’s ready for a party! When my baby turned one back in September, we decided it would be fun to have a Cookie Monster-themed party. It was really simple and quiet – just our family of five. We got him a Cookie Monster hat, gave him a Cookie Monster cupcake, and some of this ice cream. To say he was in heaven is an understatement. My son loves cookies and Cookie Monster. Cookie Monster ended up being a lot easier of a party theme than I thought it would be. 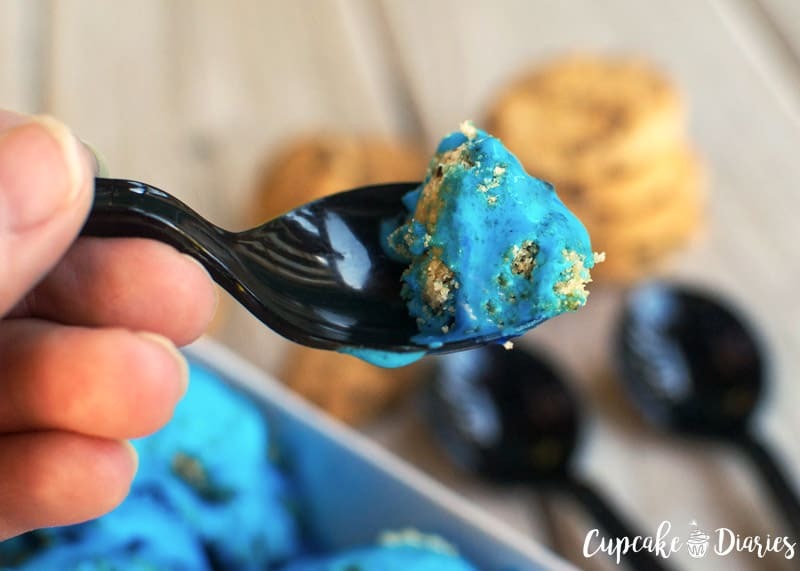 You can find blue cups, plates, and napkins in the Cookie Monster blue like we did. Super easy! This ice cream is a vanilla ice cream that has been colored blue. 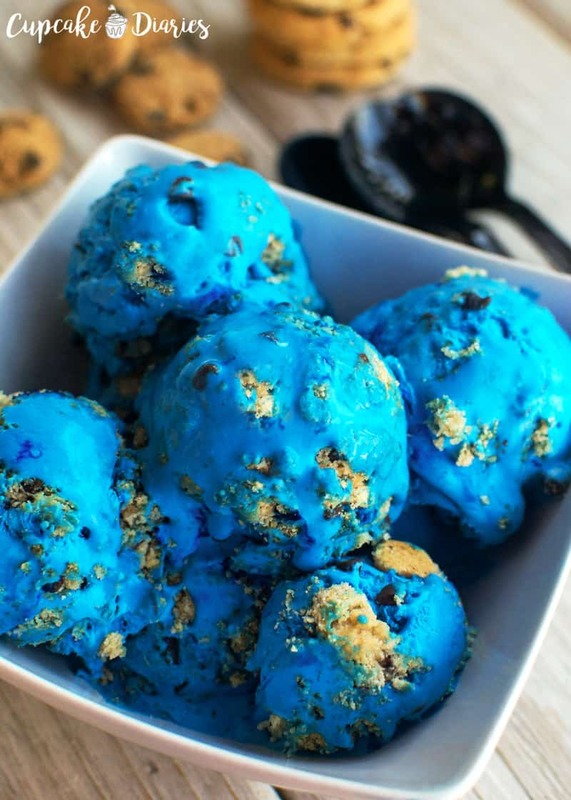 You can make the ice cream as blue as you want and as chunky as you want. I personally like the cookies so I added a few extra. And did I mention it’s no churn, meaning you don’t have to own an ice cream maker? So great! 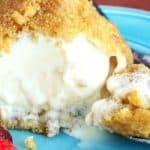 My family loves this ice cream and we’ll for sure make it again. Place whipping cream into the bowl of an electric mixer. Beat on high for two minutes, or until stiff peaks form. 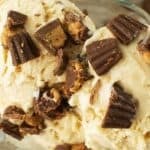 In a separate bowl combine sweetened condensed milk, a small amount of icing gel (about the tip of a butter knife), vanilla extract, and chocolate chip cookie chunks. Gently fold this mixture in with the whipping cream till combined. Add more icing gel to achieve a darker blue. Pour mixture into a large bread pan (at least 1.5 qt). Sprinkle more chocolate chip cookie chunks over top, if desired. Cover with plastic wrap and freeze 8 hours or overnight. Serve and enjoy! 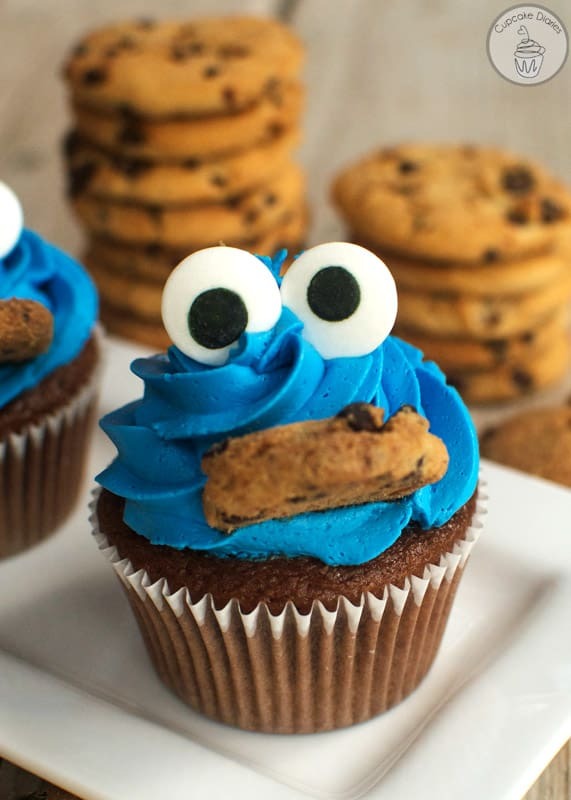 Don’t miss my Cookie Monster Cupcakes to complete your Cookie Monster party! 9then againn, cookies are one of my favorite desserts)! Thanks, Leslie! I appreciate the comment!